Actualité rédigée par Mr.Cloud. Il y a 0 commentaire. The world's biggest video game event have have provided an opportunity to Square Enix creator's to present their new upcoming productions. If everybody has only Final Fantasy XV in mind, it is important to not forget that another episode stamped Final Fantasy makes its merry way while waiting to happen quietly in our living rooms within one month. I speak, of course, of World of Final Fantasy. 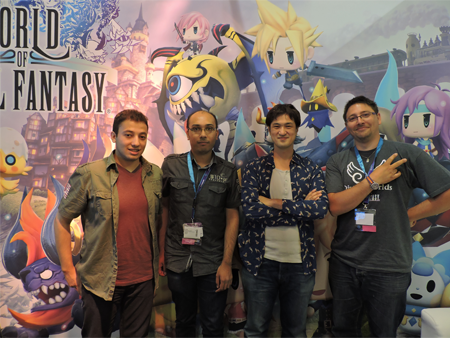 In the company of Final Fantasy Dream and Gamergen we met Hiroki Chiba, director of World of Final Fantasy. Gamergen : Good morning Chiba san, thank you to receive us! To start, can you introduce yourself to players who don’t know you ? What do you do at Square Enix and can you please resume your professional background until now. Hiroki Chiba : Good morning! So, for World of Final Fantasy, I'm the director of the game. That means I supervise every elements that will be included in the game. About my history with Square-Enix, I first started when the company was still called Squaresoft. The first game on which I have worked on was Final Fantasy VI, it is my very first title. From here I have worked on different Final Fantasy titles: Final Fantasy VII, VIII and X. But also on some spin-offs titles such as Type-0 and Dirge of Cerberus on the scenario. I had also worked on others Square-Enix titles but these are the Final Fantasy on which I was working on. So, seeing that I had these experiences with the Final Fantasy franchise, Mr Hashimoto has approached me to ask if I wanted to try out to create this new game called World of Final Fantasy. 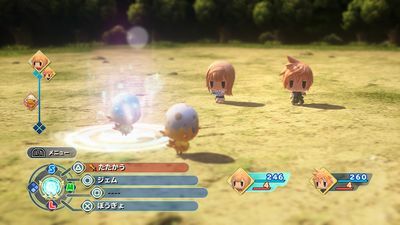 Finaland : World of Final Fantasy is destined to a younger public, a new generation of player pushing them to discover the older games with the guest heroes. Why did you choose to use the ATB system for the new younger public instead of Final Fantasy XV who use an Action system to appeal players ? Hiroki Chiba : First of all, as you've seen, Final Fantasy XIV and XV are a realistic depiction. With these games we have literally grounded the PlayStation 4. And as we used advanced technologies, the gameplay linked to these titles has evolved with the hardware in a more "action" way. Today, a lot of our players have growing up with the Final Fantasy franchise. But at the same time, we have a younger generation that plays games and we don't want to forget them. So, we decided that will be a good occasion to introduce some traditional Final Fantasy elements to them. That is the case with the ATB system with which we want to bring out the fun of the traditional Final Fantasy elements, the things that remind us the good old Final Fantasy. But at the same time, we thought that it will be great to add a new element to it. And this is why we actually bring a new gameplay element where you stacking the characters together with the classic Final Fantasy ATB. That was our challenge and a sort of showcase that introduces a new generation to the traditional Final Fantasy ways is well. So, yes we wanted to introduce these elements to our new users but we also wanted to please our long time fans that are interested to play to the game in the traditional Final Fantasy format. You can also modified the way how the ATB system work by going to the settings of the game. There is two modes: The first one that we called the “Wait System”. In this mode when you have the menu opened, the monsters won’t attack you; Or the second one, Active Mode, where the battle continues even if you have the menu open. We have also added the option to change the menu display. You can have the classical menu mode, like in the old Final Fantasy or if you want, you can preset the buttons. In this case, once you hit the button, it activates the command and the game progresses quicker. So, we wanted to make sure that the players will have an option to choose which sort of method they want for the game depending on how they’re liked to play the game. 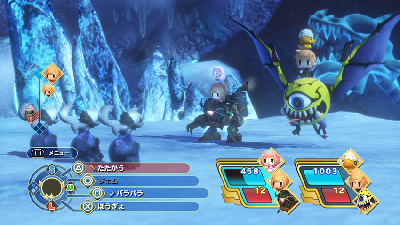 FFDream : A lot of fans are interested by World of Final Fantasy, even players that have high experiences with the Active Time Battle (ATB). Did you planned to integrate a hard mode to allow all kind of gamers to enjoy the game ? Hiroki Chiba : We don't have any separate modes. So we don't have a hard mode. But, as I mentioned earlier with the ATB system, you can adjust the difficulty of battles with the Wait and Active mode. When the battle continues while you are choosing in the menu that is a bit more challenging. And it could be very tough in Active Mode because the balance is adjusted to your play style. In this case, our experienced players will have more challenges. We also have different boss monsters that are very formidable and that are very strong opponents. So for some of these boss characters you will have to level up to become stronger in order to defeat them. Gamergen : How did the idea of the tower system combining characters and Mirages come ? Hiroki Chiba: The idea of stacking came about when I was talking with Mr.Izumisawa, who did the characters design. We were doing some concept sketches for the Lilikins (the smaller characters) and one time Izumisawa-san drew like a warrior on top of a white mage on top of a black mage as joke. But I looked to them and I said: “Oh that seems funny. It could be funny to implement this system into our battles! I am sure that it will be very interesting and this is something new to have these characters like a totem pole!" Finaland : Final Fantasy XV already had several demo (Duscae and Platinum). 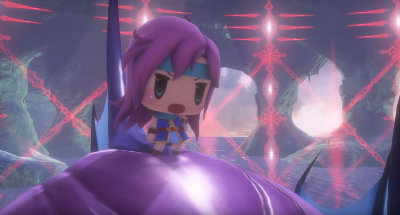 Will World of Final Fantasy have his own before the release ? I mean a true demo without the short teaser like Japan Expo in France. FFDream : You’ve worked on dark universes with tortured and complex characters (like in Dirge of Cerberus or Final Fantasy Type-0). Is your experience with these games have changed your working process ? How did you adapted yourself to the themes of World of Final Fantasy ? Hiroki Chiba : Of course, if you think about Dirge of Cerberus or Type-0 it is difficult for you to imagine that I was able to directly work on World of Final Fantasy. But those two titles are both Final Fantasy's spin-off and I feel that the work on these different titles gave me some kind of general experience. In terms of a scenario, Dirge of Cerberus and Type-0 are both very dark and mature and World of Final Fantasy is the opposite in sort of fun and light. 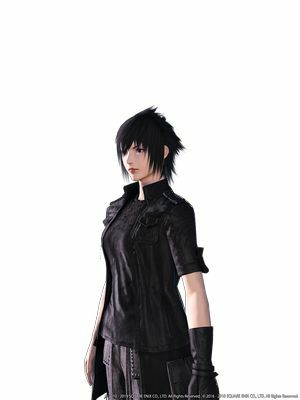 Also in the way that the graphics are depicted and the gameplay are implemented, I don't incorporate that sort of seriousness and this is very particular for a Final Fantasy. In terms of the development staff, we did want to create a game that showcases Final Fantasy to a wide range of our demographic and so we were thinking “How are we going to rebuilt that sort of development organisation that will help us to create that kind of game ?” Then I've thought that we would definitely need to have people who worked on previous Final Fantasy titles. One of our creative executive, Mr.Nomura, is there and he supervised the different artistic elements. In terms of design and graphics creation Mr.Izumisawa, who is a veteran of Final Fantasy franchise, did the different characters design. And in terms of the modeling, we employed Mr.Kayano who’s also a very long time veteran on the Final Fantasy franchise. So, we definitely wanted to keep the staff members who have experiences with the franchise and who are knowledgeable in our development team. And this is why we were able to bring out that sort of Final Fantasy likeness in World of Final Fantasy. Finaland : How do you choose the guest to add in the game ? I mean, characters like Cloud, Squall or Lightning are obviously presents, they are the showcase of the saga. But other like Eiko, Shelke or even Sherlotta aren’t famous or very popular. Hiroki Chiba : So in terms of character selection, yes it is quite unexpected. Even Nomura-san was surprised by some of the choices that I have brought. He came to me and said: “Oh, you've choose these people ? !” It is quite a process but of course this is Final Fantasy and we would love to have as many people enjoying their favorite Final Fantasy characters in the game. So, of course, It would have been nice to have all the Final Fantasy's characters show up. But we have to choose carefully in terms of the gameplay as well as the story to make sure that we’re choosing the characters that make sense in each situation. For example : there’s a scene in the game where you are at a port and there, some pirate are going appear in the game. When the team thought about: “Okay, so which scenario or situation have pirates”. Then they thought: “Of course, Faris from Final Fantasy V, it’s the perfect match for that sort of situation”. So that is the kind of process that the team would take. They thought about what a story involve in gameplay mechanics and which characters are necessary for that specific situation. 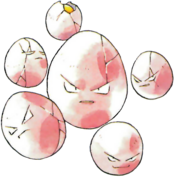 Gamergen : About Mirages, their evolutions and the principle of capture really remind us Pokemon. Did you take some inspiration from Pokemon and, if yes, how did it influence the development of the game ? If no, what made you choose this way ? 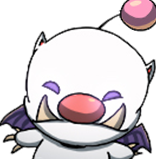 FFDream : We just talked about Pokemon GO, is the worldwide success about Pokemon GO give you some ideas for new kind of concept for a new World of Final Fantasy on mobile ? Do you think the game lays the foundations for a new kind of I.P. if World of Final Fantasy has a big success ? Hiroki Chiba : We can't say for certain right now but if there is an opportunity it would be nice to do something new with World of Final Fantasy. But in the same time, we want to make sure that we definitely keep that sort of element of World of Final Fantasy that makes our identity. Then we certainly would like to explore what kind of new and fun experiences we would be able to bring to our players. But first of all, we would like that you try out the actual World of Final Fantasy game that will be released on the Playstation 4, but also on Vita ! Finaland : A common game version for Playstation 4 and Playstation Vita had to give you some difficulties to put the same contents on both platforms. How did you work to not feel limited by the PS Vita specificities ? Hiroki Chiba : For the graphical qualities, we understood that we were going to have the game released on both platforms PS4 and PS Vita. We made sure to keep in mind the shaders and the different transparencies that are rendered in the game's graphics. So, we took into account the different data that we needed to process for the game. We kept in mind that we are going to releases on the two different platforms first of all, but at the same time we didn't want to dragged down PS4 version just because we were needed to be accommodating for the Vita. We don't want to take away from the PS4 quality as well. We definitely wanted to have the very high quality images on the Playstation 4. So we did not make any compromises on that platform but at the same time for the Vita version we also made sure that the graphics were very beautiful for the players who will take the Vita version and who will play to it. We are sure that it is a very stable and good game on the Vita as well. 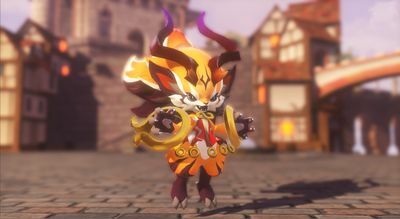 Gamergen : Famous characters of the saga will have an important role in the story of the game but they are restricted to the role of summoned characters in fights. Why did you choose to not make them fully playable in fight ? Hiroki Chiba : The game concept is your collecting of the different monsters to making them your allies. So we were thinking about the summon of monsters from number of titles and we have the concept of the monsters being there. But we were still thinking about how do we will treat the hero characters like Cloud from Final Fantasy VII ? Typically our heroes are playable characters and will summon the monster. This time the monsters are our allies who are joining our party. So we took the opposite route. We have your monsters in your party and then you take the legend characters and summon them ! Gamergen : Mr.Chiba-san do you have regrets about something you was not able to include in the game ? Hiroki Chiba : As you maybe aware, Final Fantasy has a long history and we have so many different wonderful heroes as well as monsters. They are just too many to choose only a few. Because we couldn't have everybody show up, we had to choose and decided which ones are going to make it in and which one could not make it in. So that was the kind of regret that I had that I was not able to include everybody in the game. In the beginning of the development, I've created the planning document. I had much more monsters and characters for the game. Then, I showed it to the development team and the guys said to me: “No Mr.Chiba we cannot make all of them” *laugh*. So I went back to narrow down the casting. Of course, that being said, we made sure that the final game has as much as possible characters and monsters. It's very important and you can considered that it is like a Final Fantasy's numbered title. Finaland : Final Fantasy XV gonna have a French dub, will World of Final Fantasy gonna have too ? Hiroki Chiba : In terms of the voiceovers unfortunately it is only Japanese and English. But the Japanese voiceover will be a downloadable content that will be available for the Western version in our day one's edition. So you will have the option to play between Japanese and English. Cette news a été postée le 09.09.2016 à 12h00 par Mr.Cloud. Cette news a été lue 2511 fois.